One of the reasons this angel appeals to such a vast spectrum of people is because it is not perceived as a religious symbol as much as it is an inspirational one. This allows every viewer to discover the personal meaning within themselves as to what this vision represents. Most religions acknowledge angels in their sacred writings. This fact encourages us to see what we have in common, more than what separates us. 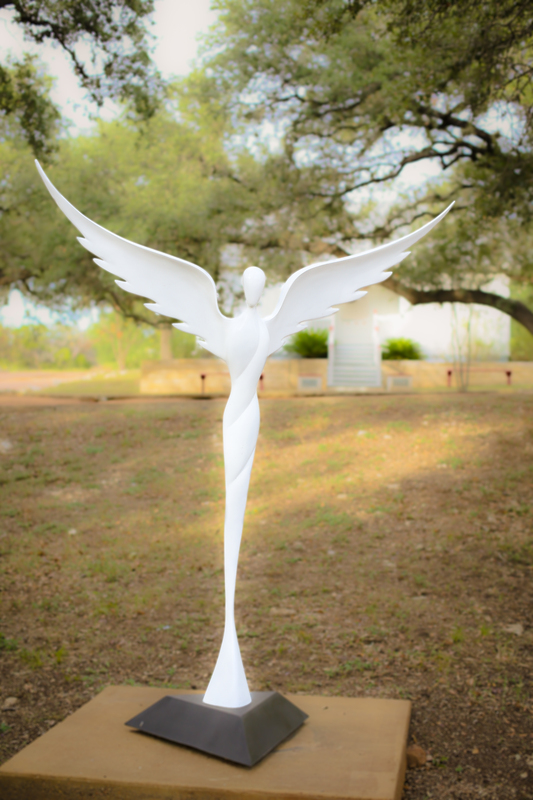 The Angel of Reconciliation inspires the dream of global unity and reconciliation for our world, and is known as a symbol of hope and reassurance for the times in which we live.